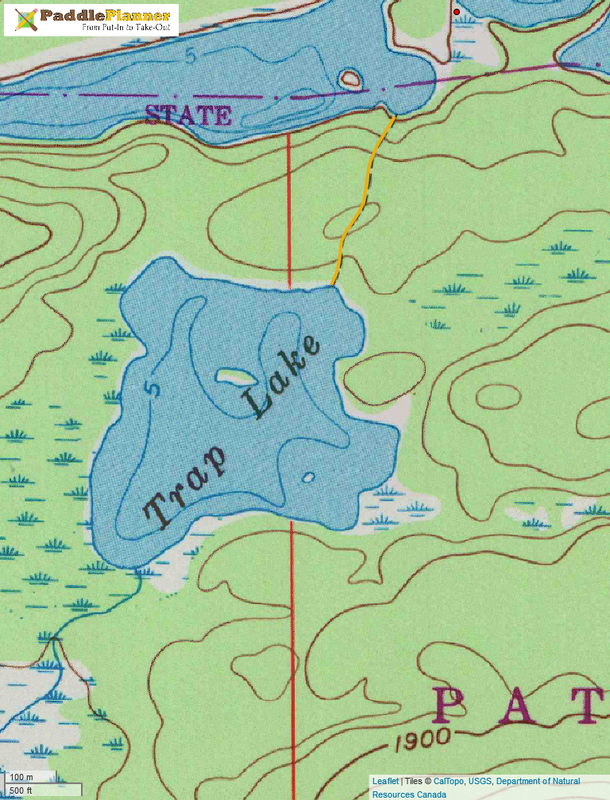 Trap lake is a small, very shallow lake located south or Crocodile Lake. From the water there is no sign of the marked 73 rod portage, and many people assume that it doesn’t exist. After all, there is really no reason to go there, the lake has no campsites and can’t be much for fishing. When I’ve been asked if I’ve been there, the question is usually followed by a chuckle. 72 rods of the portage from Crocodile to Trap are fairly obvious and easy to follow, it’s the first rod that makes it hard. The portage starts up what is essentially a small cliff. From the water one would never assume that it was the start of a trail, and because it seems so little used, there is minimal evidence that it is one. 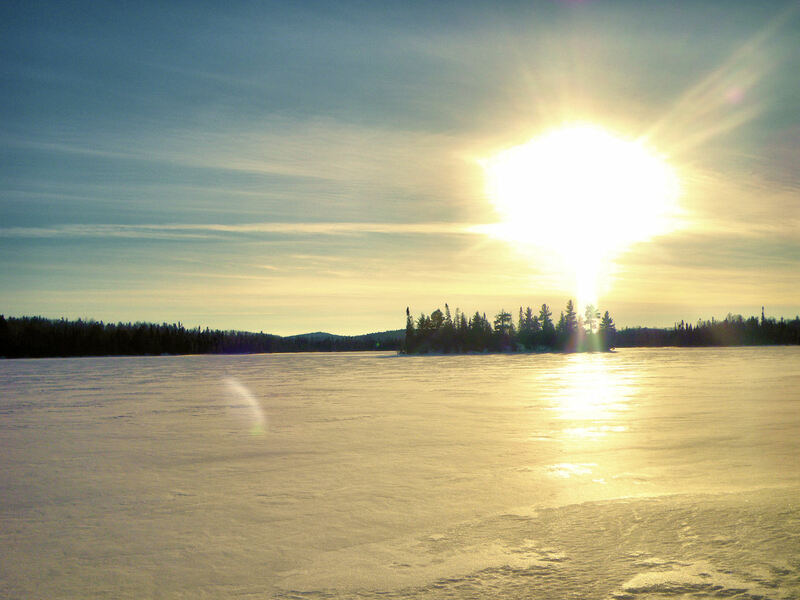 In the winter of 2009 I set out to camp on Trap Lake. During the winter you are free to camp away from designated campsites in the BWCA, meaning it is the only time of year where camping on Trap is possible. 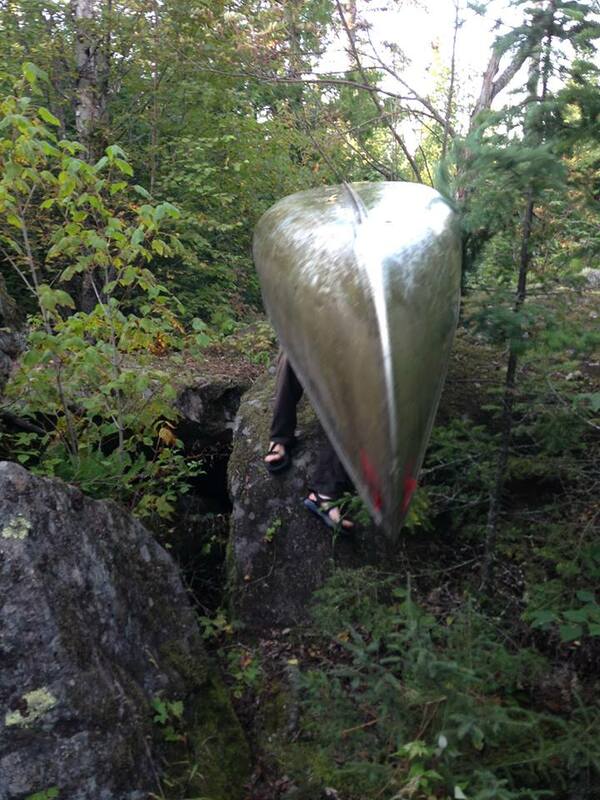 I had been up on Crocodile earlier in the winter, and thought I had located the portage. Bob skied with me to portage to Trap, and then left me to haul my sled up the steep portion of trail. Once on top I was greeted with a clear trail, covered in a couple feet of untouched snow. The following snowshoe was challenging, but beautiful. I made camp on the small island in the middle of the lake. I built a small fire at the base of a large rock, and packed a flat space to set up my tarp above. The next morning it was easy traveling on my packed trail back to Bearskin. 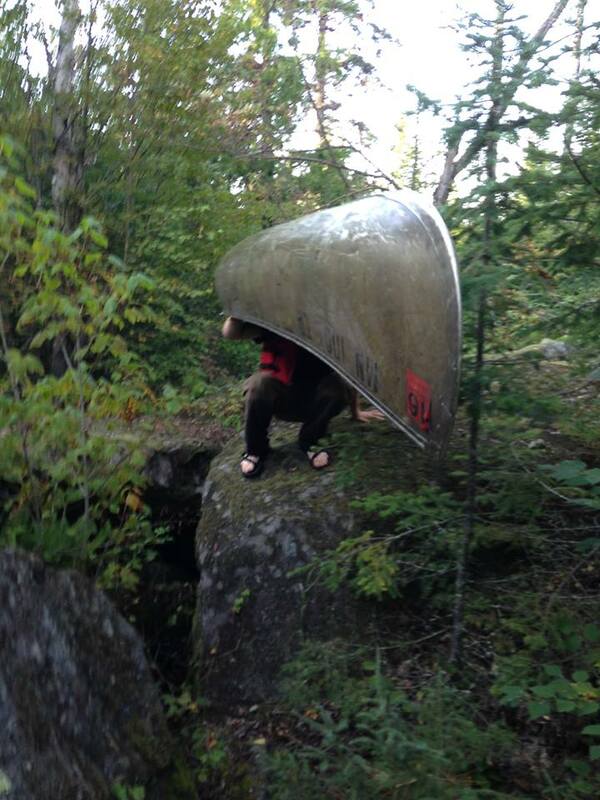 The next summer I returned to Trap Lake twice by canoe, once with Bob and once with Kate. My visit to trap lake in August of 2015 was inspired by my co-worker/explorer, Jordan, who after spotting it on a map, became curious. Having spent a fair amount of time paddling and portaging in Canada’s wilderness, Jordan had a special place in his heart for the overgrown and unmanageable terrain that this trip offered. Jordan and I collected info from Bob and Quinn and set out after work one evening. It was a lovely night and smooth paddling down E. Bearskin Lake and the portage to Crocodile. It was only after wandering back and forth down the south shore of Crocodile that we finally found the sheer cliff we were told marked the beginning of this portage. I must admit that with two strong men, minimal gear, and some teamwork, we were able to easily ascend this first challenge. What followed proved to be just as adventurous. The “trail” was evident, yet overgrown from an obvious lack of use. I wondered out loud to Jordan whether the last visitors were Quinn and Kate in 2009. 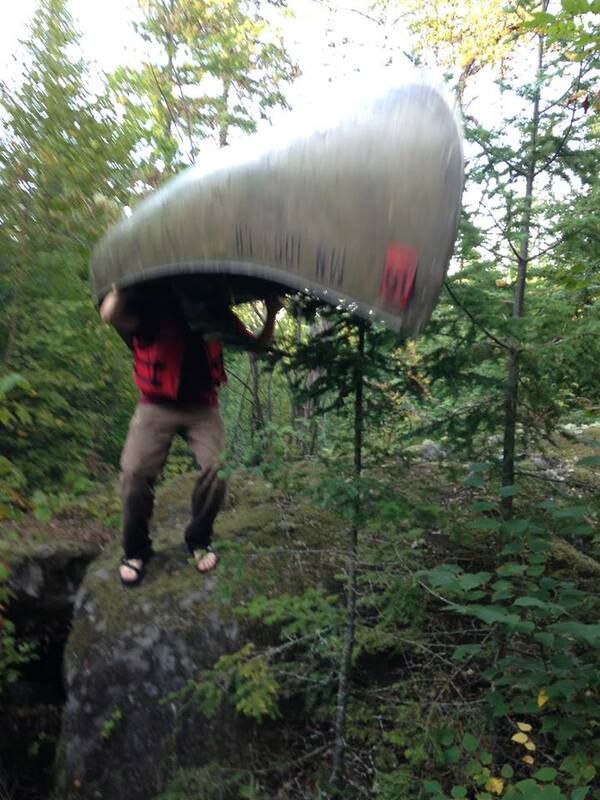 Feeling inspired, Jordan heaved the 60 lb Aluminum Canoe over his head and began his bush-wack adventure. I could tell he was in his element when he dropped to his knees and steadily portaged the canoe under a fallen ash that blocked the non-existent trail. This was only bested by his scrambling over boulders while barely hesitating to maintain perfect balance. We eventually arrived at Trap Lake, and Jordan introduced me to the concept of a “portage high,” informing me of this natural state of euphoria following a grueling feat of physical endurance. Trap Lake was worth the trip. The value, however was both in the destination and the journey. The shallow, lily-pad infested lake felt fantastically otherworldly and was a just reward for our efforts. 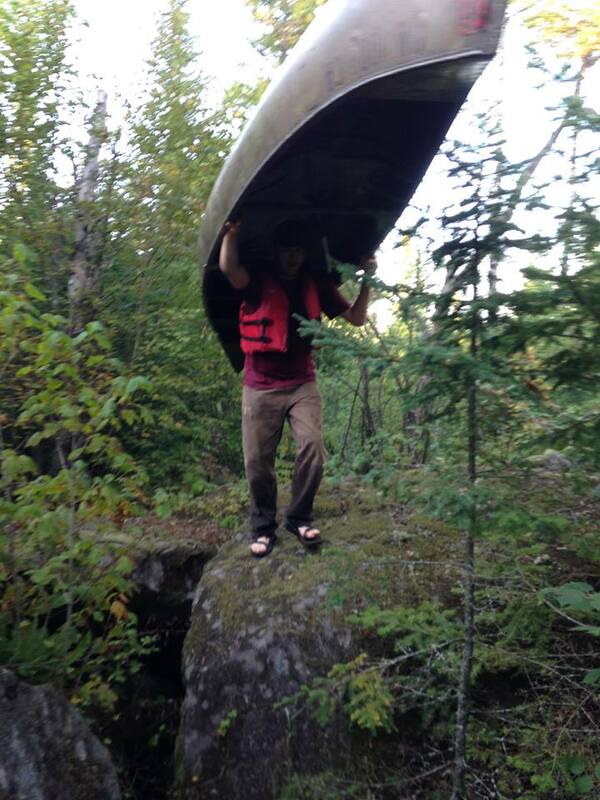 I took my turn to portage the canoe on the return trip, while only managing to fall once. The experience of a “portage high” was everything Jordan talked it up to be.